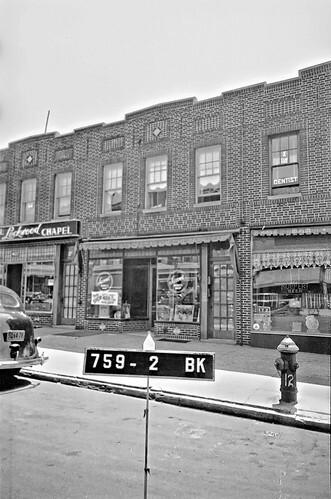 Sunset Park 1930s, originally uploaded by KennyL2007. Thanks to KennyL2007 for uploading this to the BViB photo pool. Click on the photo to enlarge the photo and get his commentary; it's worth it for the details. Great photo - I originally thought it was 8th Avenue but was suprised to see that it is actually 4621 7th Avenue. I love these old tax photos!! Although expensive, they're worth the 30 bucks from the City Archives!! BTW - it's more like 1940, The city took these between 1939 and 1941. Thanks for the information, Brian. It amazes me how much the buildings have stayed the same in so many ways.